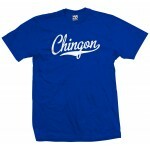 Represent your awesomeness with your own Chingon Script & Tail shirt. You can optionally personalize the back with baseball team style Name and/or Number. 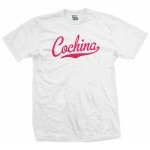 Represent your nasty self with your own Cochina Script & Tail shirt. You can optionally personalize the back with baseball team style Name and/or Number. 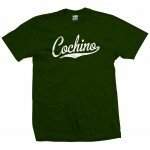 Represent your nasty self with your own Cochino Script & Tail shirt. You can optionally personalize the back with baseball team style Name and/or Number. 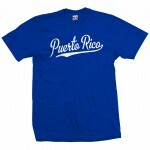 Represent the PR with your own Puerto Rico Baseball Script shirt. Personalize the back with baseball style Name and/or Number. Comes in multiple print and shirt colors and is available in almost every size imaginable. 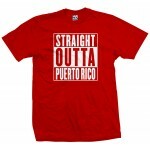 Represent your hood and with the Straight Outta Puerto Rico T-Shirt. Match colors with your favorite local sports teams. If you're looking to create your own Custom Straight Outta Tee, with your own city or town, check out our Custom Straight Outta Shirt. Represent your city with the West Side Original Outlaw T-Shirt. Match colors with your favorite local sports teams. If you're looking to create your own Custom Original Outlaw Tee, with your own city or town, check out our Custom Original Outlaw Shirt and Custom Original Outlaw Hoodie. Represent your city with the East Side Original Outlaw T-Shirt. Match colors with your club or team. If you're looking to create your own Custom Original Outlaw Tee, with your own city or town, check out our Custom Original Outlaw Shirt and Custom Original Outlaw Hoodie. 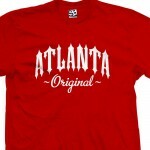 Represent your city with the South Side Original Outlaw T-Shirt. Match colors with your club or team. If you're looking to create your own Custom Original Outlaw Tee, with your own city or town, check out our Custom Original Outlaw Shirt and Custom Original Outlaw Hoodie. Represent your city with the Brooklyn Original Outlaw T-Shirt. Match colors with your club or team. If you're looking to create your own Custom Original Outlaw Tee, with your own city or town, check out our Custom Original Outlaw Shirt and Custom Original Outlaw Hoodie. 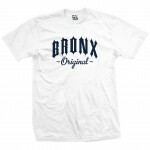 Represent your city with the Bronx Original Outlaw T-Shirt. Match colors with your club or team. If you're looking to create your own Custom Original Outlaw Tee, with your own city or town, check out our Custom Original Outlaw Shirt and Custom Original Outlaw Hoodie. Represent your city with the New York Original Outlaw T-Shirt. Match colors with your club or team. If you're looking to create your own Custom Original Outlaw Tee, with your own city or town, check out our Custom Original Outlaw Shirt and Custom Original Outlaw Hoodie. 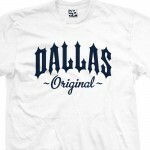 Represent Northern California with the Nor Cal Original Outlaw T-Shirt. Match colors with your club or team. If you're looking to create your own Custom Original Outlaw Tee, with your own city or town, check out our Custom Original Outlaw Shirt and Custom Original Outlaw Hoodie. Represent So Cal with the Sur Califas Original Outlaw T-Shirt. Match colors with your club or team. If you're looking to create your own Custom Original Outlaw Tee, with your own city or town, check out our Custom Original Outlaw Shirt and Custom Original Outlaw Hoodie. Represent Southern California with the So Cal Original Outlaw T-Shirt. Match colors with your club or team. If you're looking to create your own Custom Original Outlaw Tee, with your own city or town, check out our Custom Original Outlaw Shirt and Custom Original Outlaw Hoodie. Represent Southern California with the Los Angeles Original Outlaw T-Shirt. Match colors with your club or team. If you're looking to create your own Custom Original Outlaw Tee, with your own city or town, check out our Custom Original Outlaw Shirt and Custom Original Outlaw Hoodie. Represent Southern California with the San Diego Original Outlaw T-Shirt. Match colors with your club or team. If you're looking to create your own Custom Original Outlaw Tee, with your own city or town, check out our Custom Original Outlaw Shirt and Custom Original Outlaw Hoodie. Represent Oakland or San Francisco with the Bay Area Original Outlaw T-Shirt. Match colors with your club or team. If you're looking to create your own Custom Original Outlaw Tee, with your own city or town, check out our Custom Original Outlaw Shirt and Custom Original Outlaw Hoodie. Represent your city with the Bronx Original Inverse T-Shirt. Match colors with your club or team. If you're looking to create your own Custom Inverse Tee, with your own city or town, check out our Custom Inverse Shirt and Custom Inverse Hoodie. Represent your city with the Brooklyn Original Inverse T-Shirt. Match colors with your club or team. If you're looking to create your own Custom Inverse Tee, with your own city or town, check out our Custom Inverse Shirt and Custom Inverse Hoodie. Represent your city with the Harlem Original Inverse T-Shirt. Match colors with your club or team. If you're looking to create your own Custom Inverse Tee, with your own city or town, check out our Custom Inverse Shirt and Custom Inverse Hoodie. 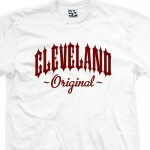 Represent your city with the San Diego Original Inverse T-Shirt. Match colors with your club or team. If you're looking to create your own Custom Inverse Tee, with your own city or town, check out our Custom Inverse Shirt and Custom Inverse Hoodie. Represent your city with the Bay Area Original Inverse T-Shirt. Match colors with your club or team. If you're looking to create your own Custom Inverse Tee, with your own city or town, check out our Custom Inverse Shirt and Custom Inverse Hoodie. 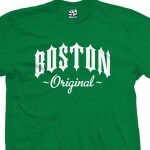 Represent your city with the Nor Cal Original Inverse T-Shirt. Match colors with your club or team. If you're looking to create your own Custom Inverse Tee, with your own city or town, check out our Custom Inverse Shirt and Custom Inverse Hoodie. Represent your city with the Chicago Original Inverse T-Shirt. Match colors with your club or team. If you're looking to create your own Custom Inverse Tee, with your own city or town, check out our Custom Inverse Shirt and Custom Inverse Hoodie. Represent your city with the Houston Original Inverse T-Shirt. Match colors with your club or team. If you're looking to create your own Custom Inverse Tee, with your own city or town, check out our Custom Inverse Shirt and Custom Inverse Hoodie. Represent your city with the Detroit Original Inverse T-Shirt. Match colors with your club or team. If you're looking to create your own Custom Inverse Tee, with your own city or town, check out our Custom Inverse Shirt and Custom Inverse Hoodie.